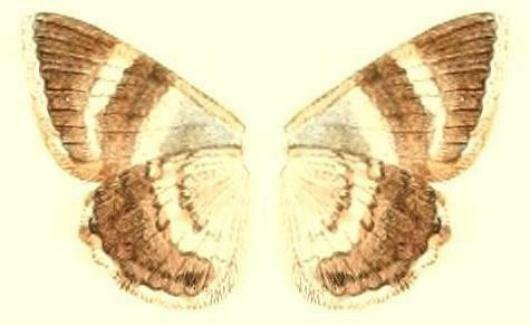 The adult moth of this species has dark brown wings, with two white bands across forewing, and one across each hindwing. 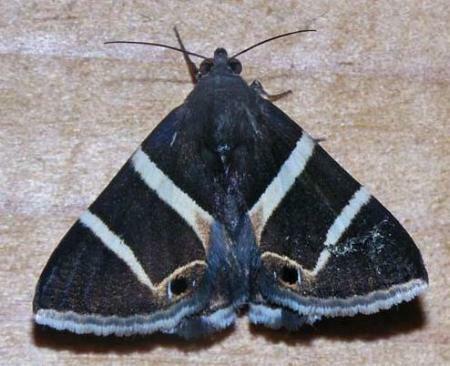 There is an eyespot with an elliptical white line around it at the tornus of each forewing. 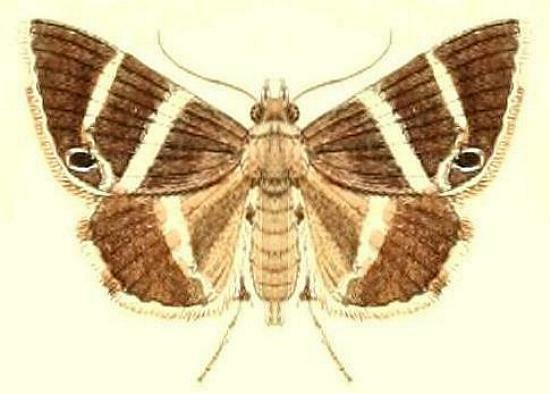 The forewings have only a scattering of pale dots along the margin, but no pale tapering submarginal band, which is present in the similar Grammodes oculicola. The wingspan is about 4 cms. LeapFrogOz, Kuranda, 2015, p. 139. Volume 23 (1880), pp. 103-104, No. 118, and also Plate 8, fig. 6..